Bed Bath & Beyond Wedding Registry, the best wedding registry there is! It finally happened. You’re getting married. Congrats girl! And now the fun bit begins, registering for all those things that you’re going to need to start your new life together as a married couple. Yes, your picking out your wedding registry isn’t as hard as choosing your wedding ceremony songs, but it can be really fun! When Should You Start Your Wedding Registry? We typically advise couples to register as soon as they are engaged or when you start your wedding planning process. 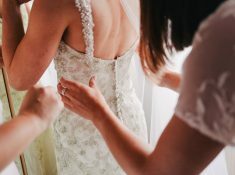 They are a lot of things you will be busy with leading up to your wedding and the registry can be done and scratched off your wedding to-do list as soon as you can. A wedding registry helps your guests pick out items that you really need rather than random stuff that you may already have. In other words, try to start your wedding registry for at least 7 to 9 months before your wedding! And with this in mind we want you to register with bed bath & beyond! Apart from the in-store consultation, bed bath & beyond offer the best wedding services. In fact, I have also used them for my baby registry when I was having my baby last year! They offer personalized visits which you must take advantage of, all the ideas at bed bath & beyond are magazine worthy! 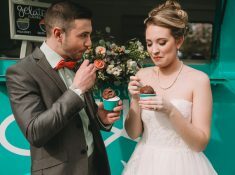 Apart from these reasons, we have 10 amazing reasons why you should register your wedding with them! Before we get started on the perks of using Bed Bath & Beyond Wedding Registry, we wanted you to take the time to like our Facebook Page here! We also use affiliate links in our blog post which means we can make a commission if you use any of our affiliate links. We love bed bath and beyond and we know you will love it just as much as we do! And if you are ready to start your wedding registry, we suggest going in for a complimentary consultation just to check it out. You can schedule an in-store consultation with one of their wedding registry experts. This means you can get a wedding registry that is going to fit all your needs without forgetting about any important bits and pieces because you get really excited about the super soft throws that are a definite need. Bed, Bath & Beyond have a really handy list already set with all the important things like pots and pans and really cute dishes. So if you’re short on time you know that all the necessities have already been taken care of. And because they’ll be from Bed, Bath & Beyond, you’ll know that you will love them. You’ve had fun scanning all the items that you need (and want) but you forgot about the KitchenAid. Don’t worry, you can log in online and manage your registry right from the comfort of your own home. I loved this feature as you can also view what your guests have picked. Your guests can also choose to ship the items directly to your home instead of bringing the gifts to the reception. I think this is the main reasons I love the Bed Bath & Beyond Wedding Registry. That’s right you can register for anything and everything. So you don’t have to decide between the strawberry scented candle or the gorgeous plum bath towel, you can have it all. And you’ll actually be doing your guests a favor by giving them a big range of gifts to choose from so no need to feel guilty. Yes, who doesn’t love a freebie? If one of your guests purchases an item from a certain brand then that brand will also give you a free gift as well. Two for one, amazing right. We all know that Bed, Bath & Beyond have an amazing selection for any taste. 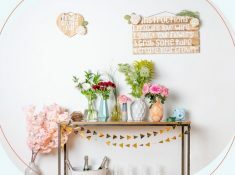 So no matter what your home style is you know you’ll be able to get a whole range of things that you are going to love. Check out these farmhouse chic decor ideas that you will love! With a wide range of products from high-end items to downright steals your guests will love the fact that there is a range of items that will accommodate any budget. So you don’t have to worry about putting pressure on your guests and have a guilt-free registry. If you want something that represents your life as a newlywed couple, then look into adding some personalized items to your registry. Things like monogrammed towels or pillows with wedding pictures, perfect to cuddle up with on the sofa. Don’t worry if you never got that mixer or coffee machine, with Bed, Bath & Beyond, they give you a discount code that can be used online or in-store to make sure that you get everything that you need. You can easily tell your friends and family about your registry by using Bed, Bath & Beyond’s announcement cards. You can personalize them and send them out with your invites. Really what haven’t they thought of? 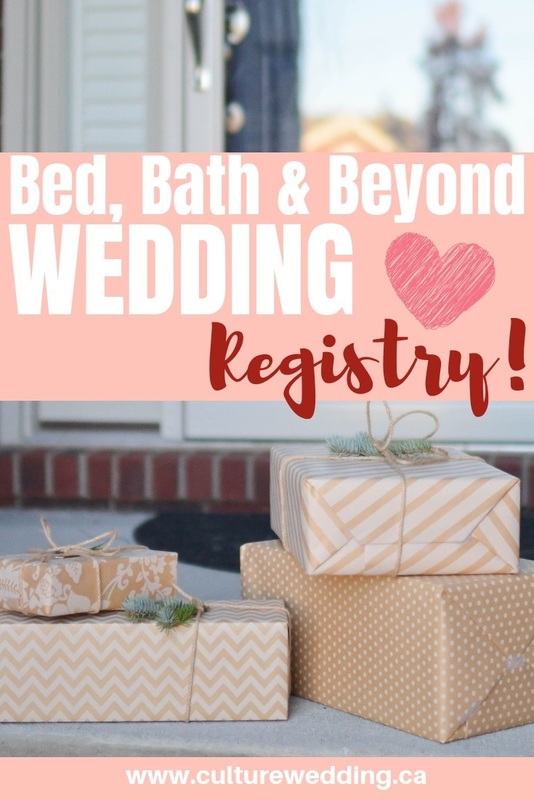 Will you be opening a Bed Bath & Beyond Wedding Registry? Tell us in the comments below. Follow us on Instagram for all the best wedding tips! And absolutely do not forget to join our new Facebook group dedicated to brides!